Enjoy a home that doesn’t get too hot in summer and extremely cold in winter! 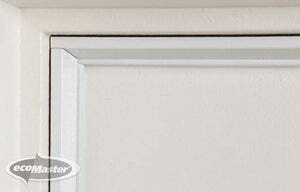 Protect your home from unwanted draughts by installing Draught Dodgers for Cavity Sliding Doors. This high quality door draught proofing solution is your best ally in blocking the entry of draughts and stopping your conditioned air from escaping to keep your home comfortable all year round. 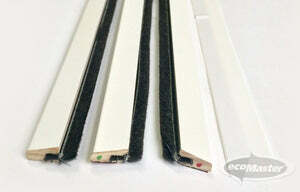 Unlike sticky door seals that lose their effectiveness over time, Draught Dodgers for Cavity Sliding Doors is a set of durable sliding door seals that don’t lose their compression and stickiness. 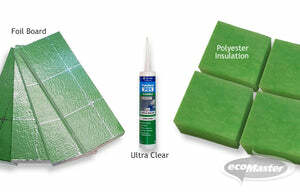 Install them once and enjoy a fully draught-proofed door forever! The Draught Dodgers for Cavity Sliding Doors Kit contains a series of components that can all be cut to length during installation. These include timber-moulded perimeter seals for the latch and rear sides, a brush for the head, and a flat draught excluder for the base of the door. Draught Dodgers for Cavity Sliding Doors are very easy to install! If you wish to install these sliding door seals on your own, here are video instructions you can refer to during installation.